Something for the silly season, Sir? Maybe robots versus ferrets? Product Roundup Bored of summer yet? I'm guessing that you, just like everyone else, assumed that as a lecturer, I get the summer off. No chance. Yet on the days I do escape this hellhole of forthcoming teenage subjugation, I am keeping myself busy – during unpredictable lightning storms, or sweltering and unseasonable conditions – playing with what I consider to be this summer’s must-have entertainment. A mix of techie gadgets and things to play with when the batteries run out plus an exclusive video of robotic ways to keep your ferrets entertained. So put away your selfie stick (that's soooo last year), then list your Apple Watch on eBay, forget about trying to uninstall Windows 10, and go out buy some of these goodies. Yes, I backed Exploding Kittens on Kickstarter from the word go, before the rest of the world jumped on The Oatmeal bandwagon, suddenly gaining this card game the most backers on Kickstarter EVER. 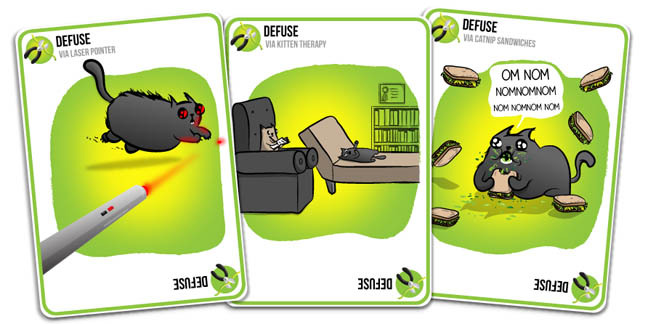 Better with more players, it’s super simple and bound to appeal to all ages, just avoid the exploding kitten at all costs and if you do pick up the flaming feline, you had better have a defuse card to hand to cancel it out (or die and get knocked out of the game). If another player tries an action of which I don’t approve, such as a sneaky attack (maybe in the form of some adorable penguin diarrhea or releasing the torture bunnies), I can always put down a ‘nope’ card. However, if they counter my nope card with an additional nope card, I’m still forced to pick up two cards and risk handling one of the mushroom cloud mousers. A lot like the card game Hot Potatoes, I can steal cards by collecting pairs. Be sure to order the additional NSFW pack for an ogle at Bikini cat. The whole package is oozing with attention to detail from the personalised cartoon to the box that meows when you open it. Not for the young or faint hearted but a damn sight more entertaining than the film AVP the board game is remarkably exhilarating as all the characters are revealed. Board games can seem awfully expensive these days but AVP, which started life as Kickstarter, is worth every penny. It contains beautiful and astonishingly detailed miniatures but they do need to be assembled. Gameplay takes the form of a series of missions and two modes: VS or mission. 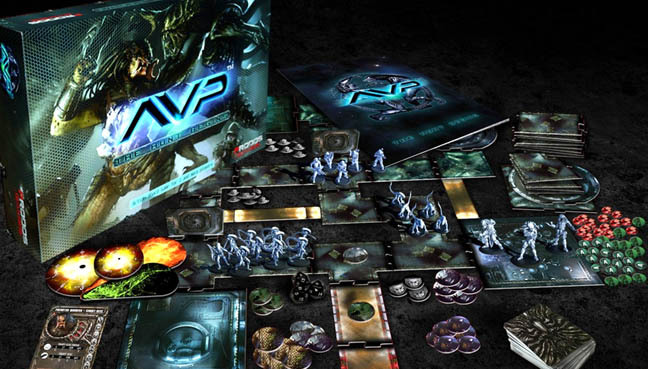 In an industry where the two-player model is traditional, AVP breaks the mould, as a three-player game. It takes a couple of play throughs to learn the rules and get the game mechanics going; first time we played we forgot to include some of the weapon modifiers. Everyone starts off invisible to the other players, but I can see where miniatures will appear but not what they will be, because of the blip markers placed on the board. This adds to the tactical depth of the game because I can’t see what’s coming. 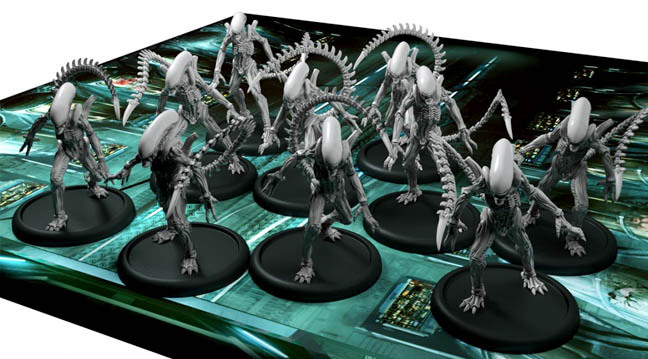 The Alien player has to stick to the infected parts of the board to get special modifiers while the marines have a variety of guns and weapons but of course need to be careful not to get splattered with acid blood and the three daunting Predators dwarf the other miniatures on the board. Listening to Jerry Goldsmith’s haunting Alien score while playing definitely increased the tensely xenomorphic ambience.